Things to do in Bilbao, San Sebastian, Vitoria-Gasteiz, Biarritz, Rioja or Pamplona. Our selection of best art, sport & cultural events in the Basque Country during September 2018. Medieval Market in Vitoria-Gasteiz. From September 28th until 30th. In San Sebastian. Euskal Jaiak - Basque festivities. Old part of the city. The Day of the Cider will start the festival of Basque culture. Musical and sports activities and the best Basque gastronomy are its main claim. From August 31st to September 9th. In Gernika-Lumo. Day of the rabbit and the cider of Bizkaia. Horticultural fair. On September 1st. In Bayonne. Bullfighting atmosphere, eating places, flamenco and Sevillian dancers' concerts. September 1st and 2nd. In Añana. Agricultural, livestock and handicraft fair. Sanctuary of Angosto. September 2nd. In Elorrio. Agricultural fair and livestock. Handicrafts. Concursom of vegetables, cheeses and txakolí. On September 2nd. In Mungia. Fair of cattle, wool, horses and goats. On September 2nd and 16th. In Lekeitio. "Antzar Eguna" or Goose day, a 300 years old tradition to be seen in the local festivities of St Antoline (from September 1st until 8th.). On September 5th. In Ordizia. "Euskal Jaiak" (Basque parties). Concerts, Basque rural sports, cooking workshops and cooking contests. Latxa sheep cheese contest. Fruit and vegetable contest. Exhibition of perretxikos. Shows Basque hen Gipuzkoa competition of Pyrenean cattle. Exhibition and sale of farm products. On September, 5th. In Hondarribia. Guadalupe Virgin Day. With a traditional parade "Alarde" upto the sanctuary of Guadalupe. On September, 8th. In Vitoria-Gasteiz. Ecological market. Transparent agricultural market. The producers of the province offer their products to the locals. On September 8th. In Gueñes. International Paper Dresses Competition. The dresses are made solely and exclusively on paper and sewn by hand or machine; and accessories made or lined with paper. Arenatzarte Park. On September 8th. In Zarautz. Basque parties. Popular food, music in the streets, trikitixa contest, dance performances or recitals of improvisers. From September 1st until 9th. Residents and visitors who come to Zarautz take to the streets dressed in traditional Basque costumes on September 9th. In Alegria - Dulantzi. Feast of Our Lady of Aiala. From September 10th to 16th. In Zumaia. Octopus day. Activities of: tasting, exhibition and gastronomic competition. On September 15th. In Artziniega. Market of yesteryear. Craftsmen at the time exhibit and sell handicrafts and food. On September 15th. In Logroño. The festivities of the city include bull fighting, popular lamb chops made with vine wood, and wine stomping of the first grapes of each Rioja wine production village. From September 15th to 22nd. In Bermeo. Patron celebrations of Andra Mari. From September 1st to 16th. Best day: Arrantzale Eguna or Fisherman's Day, on September 16th. In Amurrio. "Artzain Eguna" or Shepherd day. Contests sheep, cheese, sheepdogs, ... On September 16th. In Yecora. Feast of the Vintage of Rioja Alavesa: The wine festival. On September 17th. In Bayonne. Baionan Kantuz. Is an animation where all audiences are invited to sing Basque folk songs. Place Lacarre from 11h to 11h35 and pillory fountain from 11h35 to 12h15. September 22nd. In Saint Jean de Luz. Pintxo Eguna. Day of the pintxo. City center. From September 22nd until 24th. In Vitoria-Gasteiz. Medieval Market inside the old city center of the city (for many the best preserved old city center in the Basque Country). From September 28th to 30th. In Bilbao. Exhibition of traditional Basque sports. Ferial of Zorrotza. 1:00 pm Festivities of Zorrotza. September 29th. In Bayonne. Dantza Hirian. Contemporary dance festival in an urban environment. September 29th. In Bilbao. Exhibition of traditional Basque sports. Cantalojas - Casco Viejo. Fiestas de Zabala. September 30th. Magialdia. International Festival. From September 17th until 23rd. In San Sebastian. Exhibition "The search for happiness, the Basque contribution to the independence of the United States". Naval Museum From March 9th until September 30th. In Vitoria-Gasteiz. The "Crucified Christ" by José Ribera. Fine Arts Museum. Baroque work, 1643. After 8 years of laborious restoration the work will be able to be seen along with two other creations by José Ribera: Saint Peter and Saint Pablo. From April 4th until January 31st 2019. In Trespuentes. Dramatized visits to the Botanical Garden of Santa Catalina. The 'Catalina' ladybug will guide both adults and children through its more than a thousand plants and flowers, and the ruins of the 11th century Romanesque monastery. Every Sunday from May 6th to October 7th. In Bilbao. "110 Years, 110 Works". Exhibition for the 110th anniversary of the museum. Fine Arts Museum of Bilbao. From May 9th until October 17th. In Bilbao. Art and China after 1989: The theater of the world. Contemporary Chinese art from 1990 to 2008, with more than 120 works by 60 authors and collectives of diverse artistic disciplines: painting, photography, video art, performances and socially committed projects. Guggenheim museum. From May 11th until September 23th. In Getaria. Exhibition "Transmissions". Heritage and New Creation. Result of an educational and creative project that connects the legacy of Balenciaga that is in the museum and with the talent of a new generation of creators. From June 14 to September 2. In San Sebastian. Summer courses at the University of the Basque Country. Miramar Palace. Quality and varied program of courses, seminars, workshops and conferences. From June 15th until September 15th. In Bayonne. Exhibition a path of St. Jacques: the French Basque coastline. The media library evokes the stages from Bayonne to Irun. From June 25th until September 15th. In Bayonne. Exhibition: Hiding in the city, Liu Bolin. DIDAM. From June 29th until September 16th. In Bilbao. Expo Joana Vasconcelos: I'm your mirror. One of the most outstanding artists of the last decade. Guggenheim Museum. From June 29th to November 11th. In Bayonne. Exhibition: 1966, Basque art under the Franco regime: vanguard and resistance. Basque Museum. From June 30th until to November 4th. In San Sebastian. 'The Gods of the Prado. Art and Myth' from collections of the Prado Museum from the 1st century BC. C. and late eighteenth century. San Telmo Museum. From July 6th until October 28th. In Biarritz. Expo Biarritz, 1918 & 2018. In the summer of 1918, Picasso and his wife Olga, dancer of the Ballets Russes, stayed in Biarritz for their honeymoon. and the artist paints Les Baigneuses. This exhibition proposes to compose a sort of conversation between the historical dimension and the emotional charge of the famous painting by Pablo Picasso, and contemporary diversity represented by a selection of works by major artists (Daniel Buren, Annette Messager, Hervé Di Rosa...). Open daily from 11h to 20h. Closed on Tuesdays. From July 7th until September 30th. In San Sebastian. Donostia-San Sebastián Musical Fortnight. It is the longest standing classical music festival in Spain and one of the most time-honoured in Europe. Kursaal Elkargunea Center, Victoria Eugenia Theater and other stages. August 1st until September 1st. In Saint Jean de Luz. Ravel Festival. Mauricio Ravel Auditorium / San Juan de Luz Church. From August 16th until September 19th. In Getaria. "Balenciaga. Fashion and Heritage". Exhibition that shows the evolution of the work of the couturier in its successive stages and aspires to become a reference sample to understand and know in depth the legacy generated by Balenciaga: where he comes from, what he contributes in his time, and what he transmits to us today. Cristóbal Balenciaga Museum. Until January 29th 2019. In Getxo. Gextophoto. Festival of photography that bets on the use of formats, supports and unconventional spaces to show the images. From August 30th until September 30th. In Vitoria-Gasteiz. FesTVal. Biggest event of Spanish Television in Spain. From September 3rd to 9th. In Bilbao. Franciscus. Spectacular musical with soul. Euskalduna Palace. From September 4th untill 7th. In San Sebastian. International Congress "Study and analysis of the technological context of the Nao Victoria, within the framework of the first circumnavigation of the earth". Naval Museum. Miramar Jauregia. September 5th and 6th. In San Sebastian. Graphene Week - the Graphene Flagship International Conference Graphene Week 2018 is being organized by the Graphene Flagship and local host partner CIC nanoGUNE. From September 10th until 14th. In Getxo, in Greater Bilbao área. Folk Music Festival "Getxo Folk BBK". From September 13rd until 16th. In Saint Jean de Luz. Festivals of the Rue de la République. Desfile for the center of the city. September 14th and 15th. In San Sebastian. Donostia Kutxa Kultur Festibala. Hippodrome of San Sebastian. Big party around independent music. On September 14th and 15th. In Irun. Expogrow. Cannabis Fair, Music Festival, Cannabis Forum and other activities. FICOBA From September 14th until 16th. In Bilbao. Serrat: Mediterraneo da capo. Euskalduna Palace. September 16th. In Vitoria. International Festival of Magic. "Magialdia 2018". From September 17th until 23rd. In Bilbao. Sara Baras: Shadows. Flamenco. Arriaga Theater From September 19th until 23rd. In Errenteria. Atlantikaldia. Festival of encounter between cultures and music. From September 20th to 23rd. In Sopelana. Sopela Kosta Fest. Festival meeting between surfing, nature and music. From September 20th to 23rd. In San Sebastian, International Film Festival "Zinemaldia". From September 21st to 29th. In San Sebastian. Sebastiane (LGBTQ) Awards: Sebastiane Award of the San Sebastian International Festival and the Sebastiane Latino Award. From September 21st until 29th. In Bilbao. Open House Bilbao. Festival of open doors of Bilbao in more than 45 buildings to better understand the city through its architecture and urbanism. Free guided tours. From September 22nd until 23rd. In Saint Jean de Luz. 44th Chapter of the Basque corsairs. Desfile for the center of the city. Saint John the Baptist Church. September 23rd. In Biarritz. Latinamerican cinema & Culture Festival of Biarritz. From September 24th until 30st. In Biarritz. Tribute of Daniel Mille and his quintet to Astor Piazzolla. Gare du Midi. Thursday September 27th at 9pm. In Bilbao. 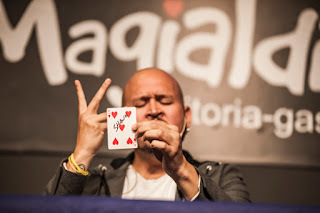 JA "La Risa de Bilbao” Humor Festival. Sala BBK, Alhóndiga Bilbao, Mercado de la Ribera, Campos Elíseos Theatre. From September 27th until October 7th. In Bilbao. BioCultura: International Fair of Ecological Products and Responsible Consumption. One of the two most important in Europe in the food sector, and other subsectors such as certified eco-cosmetics, organic textiles, bio-construction or natural health. Bilbao Exhibition Center (BEC) / Barakaldo. From September 28th until 30th. In San Sebastian. Several sporting events of the Euskal Jaiak - Basque festivities: proof of the traditional regattas of traineras; Swim across the Peine del Viento, the Gipuzkoa Aizkolaris Championship first, the San Sebastian de Pelota Championship by hand, the Cross of Urgull and the Swimming Crossing of La Concha Bay. From August 31st to September 9th. In San Sebastian – Donostia. The biggest rowing event of the year in the North of Spain (dating back to 1879), the flag of La Concha will be hold by the winner of this event. On September 2nd and 9th. In Saint Jean de Luz. Triathlons. 5 Triathlon (Iron Man, Half Iron Man, Distancia Olimpico, Sprint, Handi Jóvenes). September 8th. In Saint Jean de Luz. 22nd Rally of the sea of old vehicles. Desfile for the center of the city. September 8th and 9th. In Biarritz. ENGIE Open Biarritz Basque Country. Some of the best players in the world. Biarritz Olympic Tennis. From September 9th to 16th. In Bilbao. The Cycling Tour to Spain 2018. A beautiful tour of the most incredible places in Bizkaia: the Bizkaia Bridge, Bilbao, San Mamés, the Guggenheim, Gaztelugatxe, Urdaibai ... Getxo (start of Stage 17) and Balcony of Bizkaia (finish of Stage 17). September 12th. In Vitoria-Gasteiz. BLAN Walk Cycling tour. The oldest in Spain with a purely cyclotouristic character. On September 15th. In Lekumberri-Andoain. 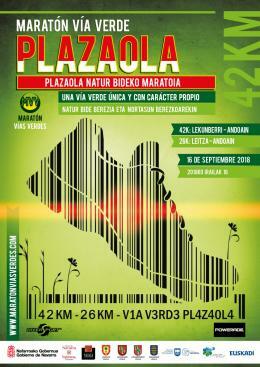 Marathon Plazaola Greenways. On September 16th. In Biarritz. Basque ball in different modalities. Throughout the month of September. In San Sebastian. Horse races. San Sebastián Racecourse. From June to September. 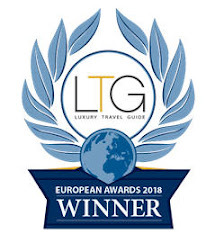 And remember, if you are thinking to come to Bilbao, San Sebastian, Rioja, Vitoria, Pamplona or anywhere else in the Basque Country, you can get a better understading on our culture and traditions with a local guide.